Novak Djokovic is now just three Grand Slam titles behind Rafael Nadal and six back from Roger Federer. 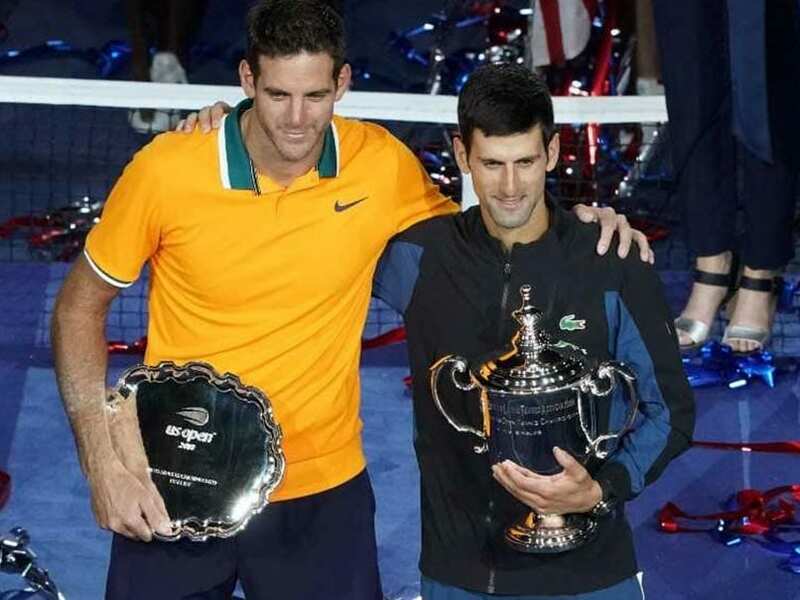 Juan Martin del Potro believes Novak Djokovic can end his career as the most successful Grand Slam title winner, surpassing Roger Federer's current mark of 20. 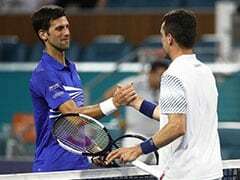 Djokovic clinched his third US Open title on Sunday with a 6-3, 7-6 (7/4), 6-3 triumph over del Potro, taking him level with Pete Sampras's mark of 14 Grand Slams. The 31-year-old Serb is now just three behind Rafael Nadal and six back from Federer. "Of course he can," said Del Potro when asked if Djokovic can claim the record over Federer who is almost six years his senior. "He has 14 already. He won two Grand Slams in one year. He's healthy. He has a great team working with him. "Hopefully him, Rafa, Roger will still fight for Grand Slams, because it is so nice to watch them fighting for the history. "We just do what we can against them. 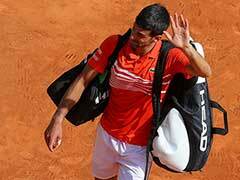 But Novak has everything to make records in this sport." Del Potro was playing in his first Grand Slam final since lifting the US Open title in 2009 at the age of 20, beating Nadal and Federer back-to-back. 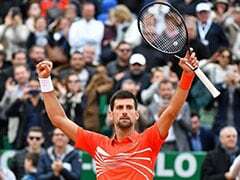 By the end of 2015, his ranking was at 581, he was deeply depressed and he was on the verge of quitting after having to sit out at least 10 Grand Slam events. However, when fit he is a formidable force. He owns 10 wins over world number one players -- the most by anyone who has never reached the top ranking themselves. This year he defeated Federer in the Indian Wells Masters final while in 2016 he was a key figure as Argentina won a first Davis Cup. Playing at a career high three in the world, Del Potro insists he is happy to be playing in the era of Djokovic, Federer and Nadal. 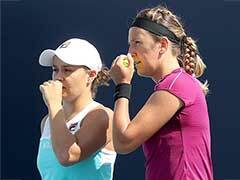 "Of course, it is a big challenge to take these kind of tournaments to them. But also I think we are proud to be close to these legends," said the 29-year-old. 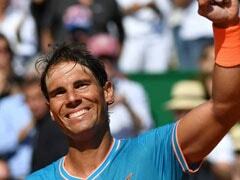 "I've been during all my career learning with Novak, Roger, Rafa, seeing them winning these events very often. It's amazing. "I don't feel sad that I couldn't win Grand Slams because of them. I am just one of the guys that have lucky to be in the same era as them, and it's great." 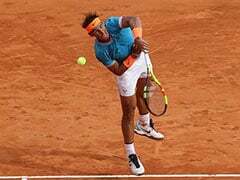 Del Potro went into Sunday's final buoyed by seeing off defending champion and world number one Nadal who was forced to quit their semi-final with injury. But he had a 4-14 losing record against Djokovic, including four at the Slams -- two of them at the US Open in 2007 and 2012. "When you see a friend holding the trophy, it's good. I'm glad that Novak is the champion."